Adam Wainwright vs. Clayton Kershaw --19 runs scored? Seriously? Adam Wainwright vs. Clayton Kershaw –19 runs scored? Seriously? 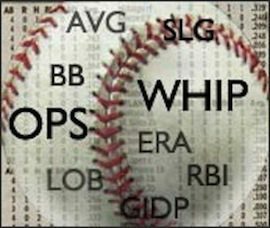 The major leagues produced exactly two pitchers who won 20 games this year. Twenty wins is the magic number in some sense, separating great pitchers from those who are merely very good. Someone might be able to argue with a straight face that there are other pitchers just as good as these two, but they won’t have 20 wins to back up their arguments. So when Clayton Kershaw and Adam Wainwright went toe to toe in Los Angeles to open up the NLDS, it was reasonable to expect a pitcher’s duel. Opening day starts are nice, but there are 30 pitchers in the majors who had one this year, and sometimes those pitchers don’t even end the season with the same team. But a game-one start in the playoffs is something else, altogether. These were the two pitchers at the top of the MLB heap, and each one wanted to give his team a leg up on the other team. Every game is magnified in October, and game one is all about establishing a tone for the series. Kershaw gave up a home run in the first inning, but then he got down to business. He cruised through the second, third, fourth and fifth innings, and was working on a masterpiece when he took the mound in the sixth inning. Wainwright, on the other hand, didn’t look so good. His stat line was rather unsightly and can be summed up with an ERA of 12.46. That just didn’t happen to him in the regular season, but these are the playoffs, and L.A. was out to avenge last year’s defeat in the NLCS. Revenge is a dish best served cold, and the warm weather in California did nothing to get in the way of this. And then, in the sixth inning, Matt Carpenter took matters into his own hands. His solo home run off of Kershaw probably didn’t scare any Dodgers fans, but it was the moment where Kershaw was revealed to be human, after all. Eight of the next eleven hitters scored, and St. Louis had done the unthinkable: They beat Clayton Kershaw at home, and in the postseason, no less. But the game didn’t end without the Dodgers making a final run at the Cardinals bullpen. The tying run was on third base, and Yasiel Puig was at the plate with two outs in the ninth inning. But there was no joy in Dodger Stadium last night, as the mighty Yasiel went down swinging to end the game. The 10-9 final score resembled a football game more than a pitchers’ duel, with each team disproving the old notion that pitching wins championships. That may — and probably will — still prove to be the case, but for one night baseball’s glorious unpredictability was on full display. This is going to be a fun ride over the next few weeks.